Utilising individual interviews and focus group discussions, primarily from two Chinese cities, The Chinese Mafia: Organized Crime, Corruption, and Extra-Legal Protection contributes to the understanding of organized crime and corruption in the Chinese context, filling a significant gap in criminological literature, by investigating how extra-legal protectors-corrupt public officials and street gangsters-emerge, evolve and operate in a rapidly changing society.China's economic reforms have been accompanied by a surge of social problems, such as ineffective legal institutions, booming black markets and rampant corruption. This has resulted in the rise of extra-legal means of protection and enforcement: such is the demand for protection that cannot be fulfilled by state-sponsored institutions. This book develops a new socio-economic theory of mafia emergence, incorporating Granovetter's argument on social embeddedness into Gambetta's economic theory of the mafia, to suggest that the rise of the Chinese mafia is primarily due to the negative influence of guanxi (a Chinese version of personal connections) on the effectiveness of the formal legal system. This interplay has two major consequences. First, the weakened ability of the formal legal system sees street gangsters (the 'Black Mafia') providing protection and quasi law enforcement. Second, it allows for escalating abuse of power by public officials; as a result, corrupt officials (the 'Red Mafia') sell public appointments, exchange illegal benefits with businesses and protect local gangs. Together, these outcomes have seen street gangs shift their operations away from traditional areas (e.g. gambling, prostitution and drug distribution), whilst corrupt public officials have moved to offer illegal services to the criminal underworld, including the safeguarding organized crime groups and protection of illegal entrepreneurs. 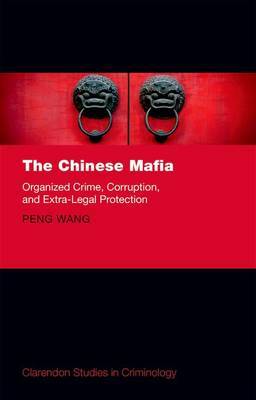 A study of crime and deviance located within a fast growing economy, The Chinese Mafia offers a unique understanding of these activities within contemporary Chinese society and a new perspective for understanding the interaction between corruption and organized crime. It will be of interest to academics and students engaged in the fields of criminology and criminal justice, sociology, and political science, with particular interest for those researching China and Chinese politics and governance.